The Endura Superlite waterproof cycling trousers are ultra-lightweight and roll up compact enough for you to stow away in your rear pocket. A waterproof rating of 10,000mm will keep you dry in heavy downpours. The Endura Superlite cycling trousers also have a breathability rating of 10,000gms to keep you from overheating. Endura’s Superlite trousers come with a pre-curved knee for a great cycling fit and improved movement as you ride. Added reflective piping helps to improve your visibility on the roads and extra-long ankle zippers with Velcro adjusters stop water riding up through your ankles. good fitting pants. i like the tight velcro fasteners at the bottom keeps em away from chain ring. 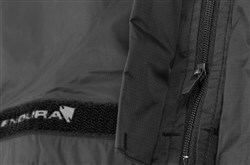 very waterproof and not bad at breathability. good value and easy to roll up and put in rucksack. Really pleased with these trousers. I bought another well known make in the same size which were far too tight and not fit for purpose. These are mega light and comfortable to wear. Won't mind climbing into them even if rain is only threatened. Bought these for my MTB wet rides and I thought they would be boil in the bag trousers I was wrong. The trousers fold up small enough to go into my jackets back pocket and I have shamefully used them on my motorbike in the rain I was surprised that they held off the wet I know they are for a bike ride and walking. 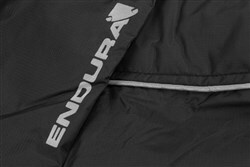 Big up to endura thanks.